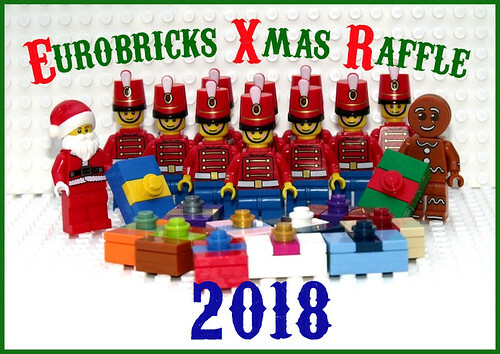 As the holidays draw near, Eurobricks hosts its annual Xmas raffle. This year all you have to do to enter is create a small build based around how you think Santa should look. Take a picture of your model and post it in the entry thread before November 29th to get yourself a chance at winning some brand new minifigures! The draw is completely random, and each year there are loads of winners! Full details can be found on Eurobricks.